By the CNN Wire Staff. August 7, 2011. Havana, Cuba (CNN) -- Venezuelan President Hugo Chavez has arrived in Cuba for the next phase of his cancer treatment, Venezuelan state media reported Sunday. Chavez's second round of chemotherapy was scheduled to begin Sunday, the state-run AVN news agency reported. 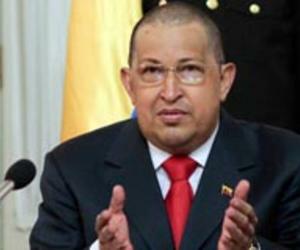 Cuban President Raul Castro met Chavez when he landed at Havana's airport around midnight Saturday, AVN said. Venezuelan lawmakers met Saturday in a special session to authorize his trip, which "could last for several days," according to a statement on the National Assembly's website. Chavez announced in June that doctors in Cuba had removed a cancerous tumor from his body, but he has not specified what type of cancer he has. He returned to the island nation last month for about a week of chemotherapy.